Banff Scotch Whisky Distillery open in 1824 and was built by James McKilligan. The distillery has had an amazing history and just one point would be to mention would be that during the height of World War 2 an enemy plane bombed the site and this lead to the destruction warehouse number 12. 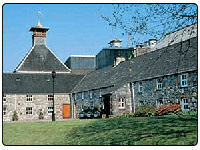 The distillery has been rebuilt a few times over the years and finally stopped producing whisky in 1983. This has not stop independent bottles still be produced and the whisky is still ready available with the whisky market place. The address where the distillery once stood is Banff Distillery, Inverboyndie, Banffshire. With it now closed there is not a website to gain any more details from, but there is a lot mentions with the search engine and you can read more about this distillery on a great website www.whisky-distilleries.info/Distilleries/Banff_EN.shtml. where you can find out more about the history and bottles it produced in the past. You can see the Banff Single Malt Whisky Range on this website.